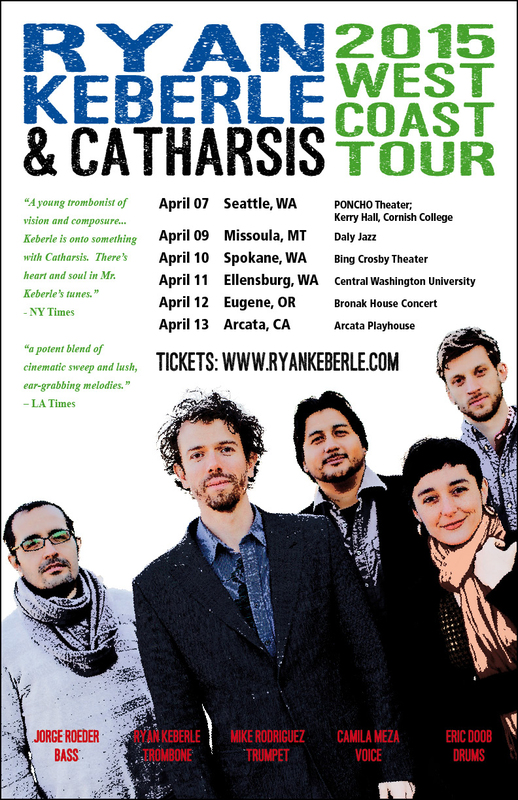 For the first time since my move to New York City in 1999 I’ll be returning to my hometown of Spokane, WA with my own band, Ryan Keberle & Catharsis. This was such a rare opportunity that we decided to turn it into a full-blown West Coast tour with shows in Seattle, Missoula, Spokane, Ellensburg, Eugene, and Arcata. We’ll also be doing a number of clinics at local universities in those towns. See you on the west side!! !